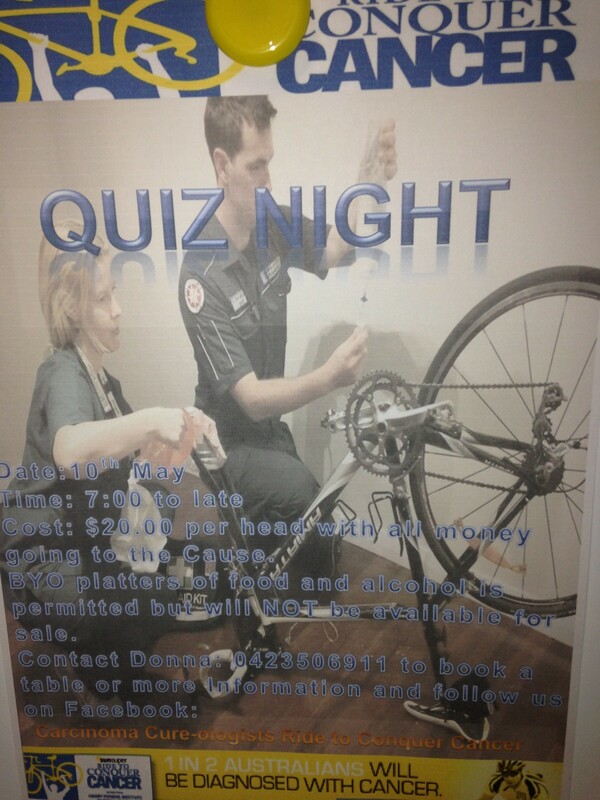 Matt and Donna’s Quiz night- to help conquer cancer! Paramedic Matt and Doctor Donna get ready for the ride of their lives to help conquer cancer! 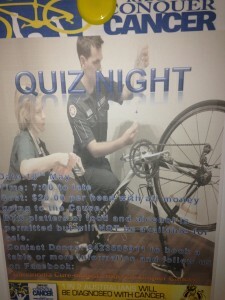 Join Matt, one of our SES members, as he and his wife Donna host a quiz night to raise funds to help ride to conquer cancer. SES crew will also be there and all are welcome, the more the merrier! Cost: $20.00 per head with all money going to the Cause. BYO platters of food and alcohol is permitted but will NOT be available for sale.